Want a best free webcam recorder software or video capture software to record video from webcams? See the list of top 16 best webcam recording software free download. Most of the laptops come with integrated webcams which can be used for capturing photos and recording videos. Even if you are using a computer, you can add an external webcam to it for recording videos. If you get a laptop with Windows preinstalled in it, it will also come with a default webcam recording software which will help you in video calling, capturing images and recording videos. Generally, the stock webcam recording software comes with a limited set of features. But you can easily download webcam recorder software which comes with plenty of advanced features which are not available in the stock webcam app. We did a little research to find the some of the best free webcam recording software for Windows operating systems and came across many amazing webcam recorder software options. Today in this software for Windows guide, we are going to share the complete list of top 16 best webcam recording software free download which you can use on your laptops and computers in order to record videos from any webcam easily. Do you know what type of free screen recorder or screen capture software is really useful for you right now? Check out this list of free screen recording software for Windows computers then. “What is the best free webcam recorder software for Windows?” and “What are the best webcam recording software to record video from webcams and video capture devices?” are some of the widely searched terms over the internet, and that’s the main reason for us to bringing out this webcam recorder software free download guide. Some of the most valuable features of these best webcam recording software free download are: record video from any webcam or external devices or computer screen, record streaming videos, record and produce video in many different video formats (Avi, WMV, Flv, mpg, mp4, MOV, and much more), record video alone or video and audio simultaneously, recording video conferences, adding your own text captions or time stamp, changing color settings and video effects before recording, adjusting the video resolution, size and frame rate for capture etc. So, are you ready to check out the list of best free webcam recorder software and video capture software for Windows to record video from a webcam, recording device or computer screen? Here we go. CyberLink Youcam 7 is an advanced free webcam recording software which can do many other things apart from taking photos and recording videos. There are both free and premium versions of this app available. You can edit the pictures which are captured using this app. Add frames, funny effects, screens, emoticons along with filters to your photos to make them funny. Download CyberLink YouCam Essential version for free! The app comes with a beautification tool which will help you in editing the photos. You also get a surveillance mode with which you can convert your webcam into a CCTV camera. If you are looking for a freemium webcam recorder software then you need to give a try to ManyCam. You can integrate this app with Yahoo and Skype and make funny video calls. If you are a gamer and want to share your gaming session with your friends, you can use the Game capture feature. This feature will record your gaming session, edit the video and directly upload it to Youtube. 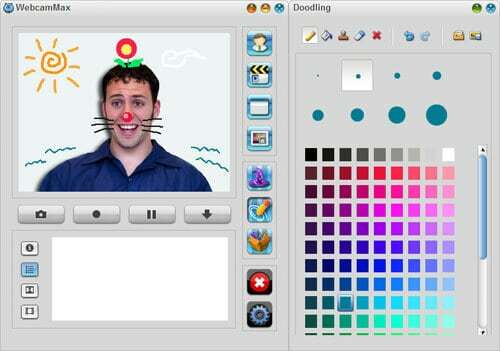 You can customize the videos which you will record using ManyCam by using different tools available. The screencast feature will allow you to record the videos and make video tutorials. You can use ManyCam on Windows and Mac operating systems. Next up is IP Camera Viewer. If you are looking for a webcam recorder software free download which will help you in doing surveillance, IP Camera viewer is the software you need to use. IP Camera Viewer comes with user-friendly interface and amazing features. You can use this software both for home and office use. You can watch up to 4 video feeds at the same time using IP Camera Viewer. Other features of IP Camera Viewer include recording videos, taking screenshots and live preview. IP Camera Viewer is available for free for Windows operating systems. For all the people who want a webcam recording software for Windows, WebcamMax is a good option. You can use Webcam Max in your video chats with different video calling applications. Select from different effects available in the app for editing the videos. You can easily share the videos which you have recorded on social media websites as WebcamMax comes with Facebook and Youtube sharing options. SplitCam is one of the best free webcam recording software which is available only for Windows users. You can use this software for recording videos and capturing photos. You can convert the output videos into something amazing by using the different tools which are available in the app. Use the video streaming option with which you can stream live videos to anyone. The video splitting feature will allow you to use different features in the webcam simultaneously. SplitCam is compatible with all the versions of Windows operating system. Yawcam helps you in recording videos and taking photos. One might not like the interface of this free webcam software as it is old school but it comes with many good features. Using Yawcam, you will be able to stream the videos, capture multiple screenshots in a few seconds. You can also use the motion detection feature in the app for surveillance purposes. 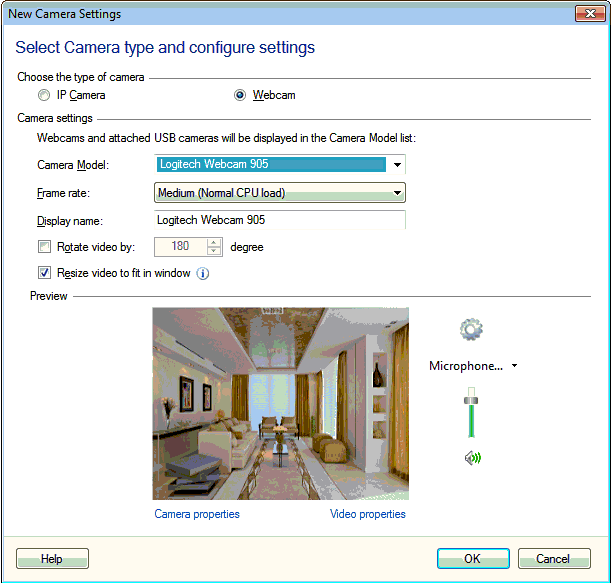 Yawcam is compatible with Windows XP, 7 and 8 operating systems. If you are looking for a free webcam software which comes with good features and consumes very fewer resources then you need to use Yawcam. 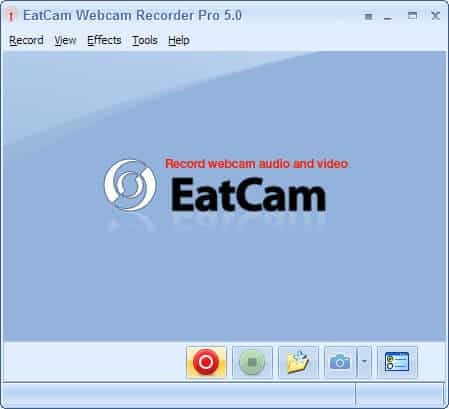 You can easily record videos using EatCam. The software comes with user-friendly interface and limited set of functions. If you are using instant messenger apps you can use EatCam with them. You can record both audio and videos using this webcam recorder software free download. If you are looking for a best free webcam recording software and a screen capture tool then you need to give a try to Debut Video Capture Software. 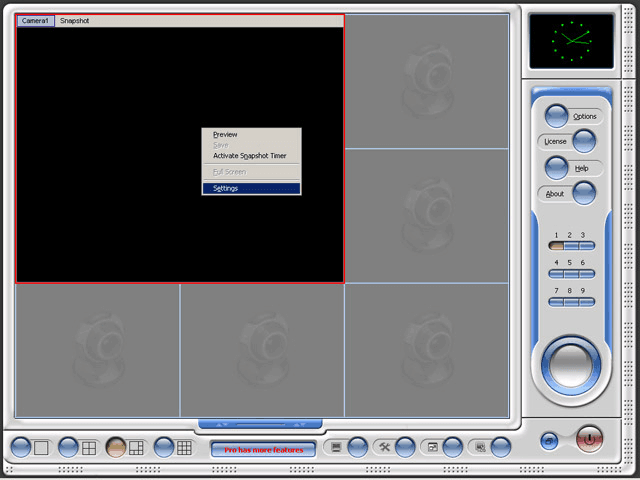 Using Debut Video Capture you can take screenshots, record the computer screen and record videos. The editor which comes with the app allows you to edit the recorded videos. You can capture the videos in different formats as this webcam recording software for windows supports multiple video formats. Mouse highlighting and zoom-to-mouse are some of the features which you can use while you are recording videos using Debut Video capture. 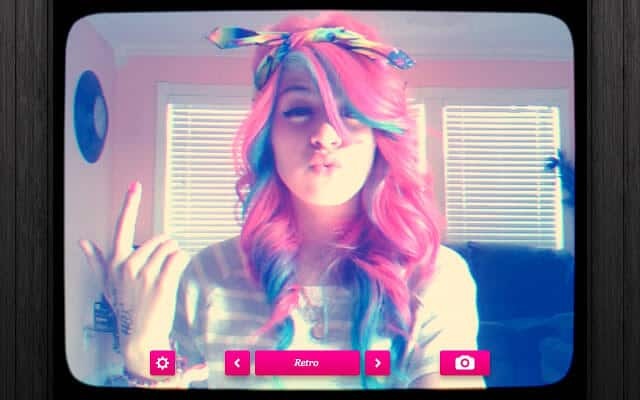 Fake Webcam is the best free webcam recording software which will help you in having fun with your friends. Fake Webcam comes with Skype integration which will help you in having funny video calls with your friends on Skype. Select from different filters available in the app to add more cool effects to the videos. The evaluation version of this software is available for a month after which you have to buy the premium license. Unfortunately, this webcam recorder software is only for Mac users. iGlasses comes with a minimalistic interface which helps you in getting the best video quality experience. There is a free trial version of the app available after which you need to buy the premium license to unlock all its features. iGlasses can be integrated with Facebook Chat and Skype which will bring you to the best video calling experience. You can use the color correction feature along with the fun effects for converting your videos into something amazing. To give 3D effects to your videos, you can select from more than 50 3D video effects. The premium version of this best webcam recording software is available for $19.95. You don’t have to download webcam recording software to use Webcam Toy as this tool works with web browsers. The software comes with a simple user interface as with one click you will be able to initiate the app. There are dedicated buttons which will allow you to record the videos, capture screenshots and much more. We can’t consider Free Screencast as a webcam recording software as this tool is ideal for recording videos. You can share the screencasts which you have recorded using Free Screencast on your Youtube channel or even a website. There are many people who don’t want to install a software as it includes a lot hassle. Apowersoft Free Online Screen Recorder is an online tool which can be used for recording videos. You just have to log in to your account, press the record button and recording videos will start. You can share the videos or save them on the online cloud using Free Online Screen recorder. Multi webcam video recorder free is an advanced tool which will help you in recording videos from multiple webcams attached to your computer. All the videos which you will record will get stored as separate files and are displayed on different screens. Multi webcam Video Recorder can be downloaded for free from the official website. If your only requirement is to record the videos then you can use Weeny Free Video Recorder. The software will help you in recording videos with just a single click. You can use this best webcam recording software free download on all versions of Windows operating systems. We will end out the list of best free webcam recording software for Windows operating system with Camersoft Webcam Recorder. This software is used both by newbies and professionals. There are different tools available in this app for editing the videos. You can use the live preview feature to preview the effects on videos you are about to record. There are a lot of webcam recording software and free video capture tools which you can use instead of the stock webcam software. All the free webcam recording software for Windows PC which we have shared above come with amazing video capture features and video editing options which you won’t find in the built-in webcam recording software. Let us know via comments which free webcam recorder software you are using on your Windows computers in order to record videos from webcam easily.